In these volatile times, many investors and savers are looking for a very safe investment. One of the options you have, if you want safety and guaranteed income, is a Guaranteed Investment Certificate (GIC). Many investors like to add them to their portfolios for stability. GICs are a form of investment where you agree to lend money to a bank for a set amount of time. The bank agrees to pay you a certain percentage of interest to borrow this money. You are guaranteed a return as long as you keep your money in the bank for a specified amount of time. Terms on GICs generally run from as little as 90 days or as much as 10 years. The longer you are willing to keep your money in the bank, the more likely you are to receive a higher interest rate. This safety, though, comes with a price as there are some risks involved. First of all, even the GICs with the highest yields are unlikely to provide you with the kind of return that results in long-term wealth building. A GIC is not likely to keep up with stock market returns. Additionally, you might find in some cases, that GICs don’t even keep up with inflation. Since you are agreeing to lend your money for a certain amount of time, there are often downsides to breaking that agreement and withdrawing your money early. With some GICs, there may be a penalty when you withdraw money before maturity. If the interest on your GIC only pays out when the instrument matures, you may not earn any interest when you withdraw early. If you think that you might need the money before the GIC maturity, you might want to look into redeemable GICs. Redeemable GICs allow you to withdraw your money without penalty. However, there is a trade off for this flexibility: Redeemable GICs often come with lower interest yields. When Do GICs Make Sense? It’s important to weigh the pros and cons of GICs. While you probably don’t want to try and build an entire portfolio out of GICs (especially if you are trying to build a nest egg), they do have their place in a diversified portfolio. Guaranteed Investment Certificates may be a good investment choice if you want a safe, short term, place to save your money. If you are interested in capital preservation for a portion of your portfolio, as a safety net to offset some of your riskier assets (like stocks), GICs can be a good choice. Choose longer-term GICs, like those with five to 10 year maturities, for long-term capital preservation. In some cases, you might come into a large amount of money. GICs can be useful if you simply want to hold your money while you decide what you’d like to do with it for the long term. Short-term GICs ranging from 90 days to 12 months can help you earn a better return than you’d get in a savings account while you formulate your next financial move. One of the most interesting, and safest, investments that Canadians have access to is the GIC. With a GIC, you invest your principal at a set rate of return. You receive the same interest yield, regardless of what is happening in the markets. Because of their safety and stability, GICs are popular among those who lived on fixed incomes. They are desirable during retirement because the offer a regular source of income. Guaranteed Investment Certificates are generally considered to be risk free investments. It’s important to understand, though, that no investment is completely without risks. This includes generally safe investments like GICs. While GICs can be a great part of any investment portfolio and long-term plan, there are some risks that you need to be aware of. Understanding the risks involved can help you reduce those risks over time. Since your principal is guaranteed, and your interest rate is often also guaranteed, there is not much of a risk premium involved. You don’t have to worry about losing your principal, and you can expect to see the same return, no matter what is happening in the markets. Of course, one of the rules of investing is that the greater the risk you take, the greater your potential returns. The relatively low-risk nature of GICs means that the gains you can expect are lower since the risk is lower. So, instead of perhaps seeing a 6% to 7% gain on your investment, as you might see in the stock market, you might only see a 1.5% return on your GIC. While you are insulated against capital losses (that bigger stock market potential also comes with the risk that you will lose some, or all, of your principal) with a GIC, your gains won’t have nearly the potential. As a result of these lower yields, GICs aren’t very good when it comes to wealth building. They can preserve your capital, especially if you have a lot of it and just want to generate income through interest returns, but if you rely on GICs to build your retirement portfolio, you run the risk that your money won’t grow at a fast enough rate to provide you with a comfortable retirement. Additionally, while this low interest may be guaranteed, it’s not guaranteed to beat inflation. If your GIC is providing a 1.5% interest rate but the annual inflation rate is 3%, then your real inflation-adjusted rate of return is -1.5%. This means that you are losing money in real terms. Over time, this erosion in your buying power can make a big difference in the size of your nest egg. You can increase your return by getting the best interest rate possible on your GIC. This involves not only looking at what is offered among banks and credit unions, but also ask your banker for a better rate. Like many other bank rates, these can be negotiable. You can also use a laddering technique. This means that you buy GICs of different lengths (since longer terms come with higher rates). Every time a GIC expires, you reinvest the money into the longest possible term. A proper GIC ladder allows you to take advantage of increasing interest rates, while still locking in higher rates. There is also a tax liability that needs to be accounted for. Interest on GICs is fully taxable at your marginal tax rate. 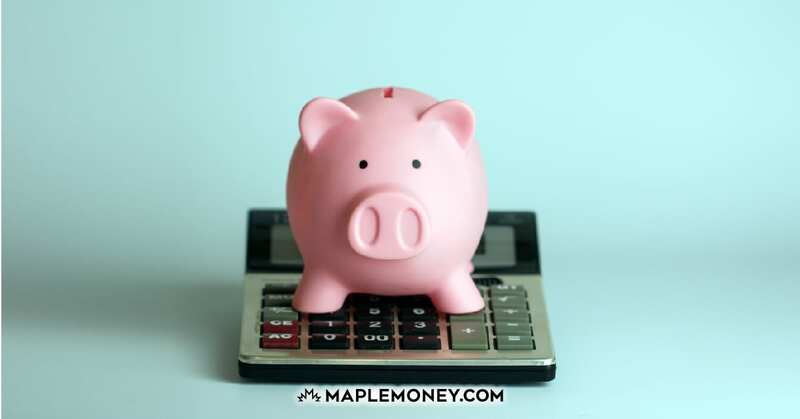 Because of this, you should consider holding any GICs in a RRSP or TFSA to shelter the gains until you withdraw the money. In the example above, tax could remove at least 0.5% of your return, now leaving you with a real rate of return of -2% after adjusting for inflation. You can see how that can be problematic over time. A shelter can defer the taxes, giving your money a chance to grow more efficiently. However, you will have to pay taxes eventually. While a GIC can add to a diversified portfolio as a source of fixed income, be aware of the steps you can take to reduce the chance of losing money in real terms. Make sure you get the best rate possible and shelter your income from taxes, and include GICs in a wider portfolio composition that includes assets with better returns. 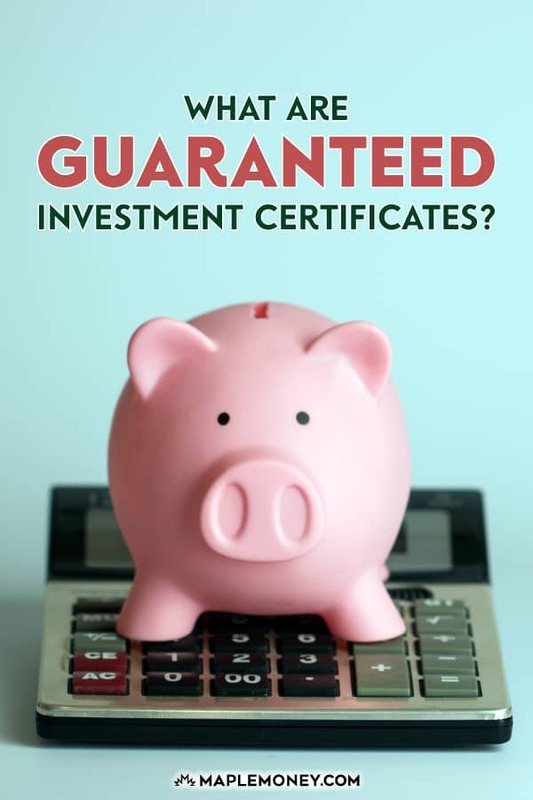 Guaranteed Investment Certificates provide a guaranteed form of income, provided you lend your money for a set amount of time. In return for the ability to use your money to make money, the financial institution pays you a small yield. However, GICs are a little inflexible in many ways. Since you agree to keep your money in the bank for a set period of time, you face sometimes-steep penalties if you withdraw your money before the term is up. Another issue is the fact that you are stuck with your rate. If you put your money in a five-year GIC, and yields rise after two years, you are out of luck. For three years, you miss out on the gains from higher yields. This makes GICs, when used singly, rather inconvenient for regular income or for use as an emergency fund. 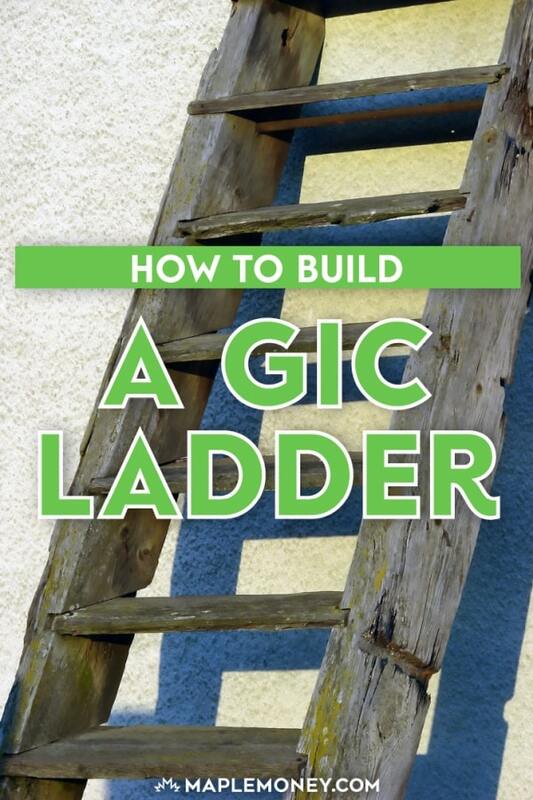 In order to make them more useful to you, it makes sense to build a GIC ladder. If you do want to take advantage of GICs, there is a way to increase the flexibility of when you can withdraw your money, as well as decrease the risk of investing at a low interest rate. Having your GICs laddered like this gives you $1,000 back each year, plus the interest it earned, as opposed to having the entire $5,000 locked in for the full 5 years. This provides you an annual opportunity to decide what you’d like to do with the money. You might choose to turn it over into another GIC if interest rates are good. In this case, you continue the ladder by purchasing a five-year GIC each following year, since you’ll always have GICs maturing every year for the next 4 years. With this method, you keep the GIC ladder going, and you have the advantage of always getting a better yield, since you are putting your money into a longer-term GIC. Plus, each year, as another GIC matures, you have the option of taking advantage of possibly-higher yields and locking them in. On the other hand, if interest rates are low that year, you might decide to invest your matured GIC in stocks or mutual funds if their prices look reasonable. This is the flexibility that GIC laddering provides. You don’t have to confine yourself to using GIC laddering just for trying to chase yield. It’s also possible to create a shorter-term GIC ladder designed to help you in the event of an emergency. Instead of a five-year GIC ladder, you can reduce it to smaller intervals. It’s possible to set up a GIC ladder so that a GIC matures every six months, or every three months. That way, if you need the money for emergency purposes, it’s more accessible. Consider your needs, and then determine whether or not a GIC ladder might work for you. With the right planning, GICs can be a good part of your portfolio, and a solid part of your future finances. If you’re looking to invest on GICs, I recommend signing up for a Tangerine account (use Orange Key 35090351S1 to get a $50 bonus) and going with either the Tangerine Tax-Free Guaranteed Investment (TFSA) or Tangerine RSP Guaranteed Investment (RRSP) options. What is the interest rate if you would put your money directly into a savings accounts verses putting it into a GIC account? Can you compare the two? For example; if I put 100,000 into a savings account verses 100,000 into a GIC account? I have about 1/2 of my RRSP in GICs. Even with the low, low rates of the past several years they have done much better than any of my investments in mutual funds or index funds over the past decade. This maybe the exception rather than the rule of investing but it help soften the blow when the markets crashed. Hindsight being 20/20, I wish I had invested 100% in GIC’s. I would really like to know how GICs compare to short term bond ETFs over the long term on a risk adjusted basis. Any financial whiz out there willing to take me on? Great chart Ryan, thanks for pointing it out. One thing I’ll disagree with you on – you say that when you’re investing in GICs, you want interest rates to go up quickly. That’s not the case – if you already have a guaranteed investment certificate then the interest rate stays the same. Therefore if interest rates rise, your GIC’s value will drop relative to the market. You want rates to increase, then make your purchase, then for rates to drop again so that you can can sell your vehicle and make a profit. Either that or you can just hold it until maturity. This is for fixed rate GICs, of course. This is a fantastic strategy if guaranteed investment certificates are high. If they are low, perhaps you want a shorter-term GIC with the expectation that rates will climb and thus you can benefit from the roll-over. Also, you can just get an adjustable rate GIC if rates are low. what about duration risk? (the risk that interest rates will rise before the maturity of your investment), is not as bad as in bonds, but it is an opportunity cost isn’t it? 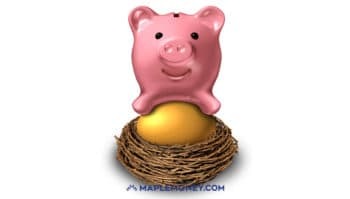 I use GICs as a way to keep money safely locked up and to generate better interest than a basic savings account pays when I need to keep it safe from me. I am saving for a new car right now and wish to make the purchase next year. I will not be able to save the entire amount but every time I get $500 together I will lock it in to a GIC to mature for then. I am still a dozen or so years out from retirement and I will start moving out of riskier stocks and mutual funds in to self-directed GIC ladders about 5 years before retirement. TD is offering a 5 year GIC Stepper that offers 1% in year 1 up to 1.75% in year 4 and finally 4% in year 5. Doing it yourself is the better way to go. What would the effective 5 year rate be? Secondly, what would happen if you needed cash in year 3? Me thinks laddering is the more predictable. I do this a lot for conservative clients. An additional option is the principal plus strategy to provide them with a slight potential for growth. For example for a portfolio of $100 000 I calculate based on the yield of the GIC ladder what is needed to invest to have $100 000 after the 5 years. So if that works out to say $90 000 we take the additional $10 000 and put that into a portfolio. At the end of the 5 years the client knows they will have the $100000 and whatever gains/losses on the $10 000. Much less anxiety for those that want some growth/income but a scared to venture to far away from GICs. Using redeemable GIC also helps . If you have an emergency or interest rates do shoot up you can change usually just for an interest penalty. Would there be any advantage to having a 10 year gic ladder instead of a 5 year ladder? Or is this something that the banks would not allow?